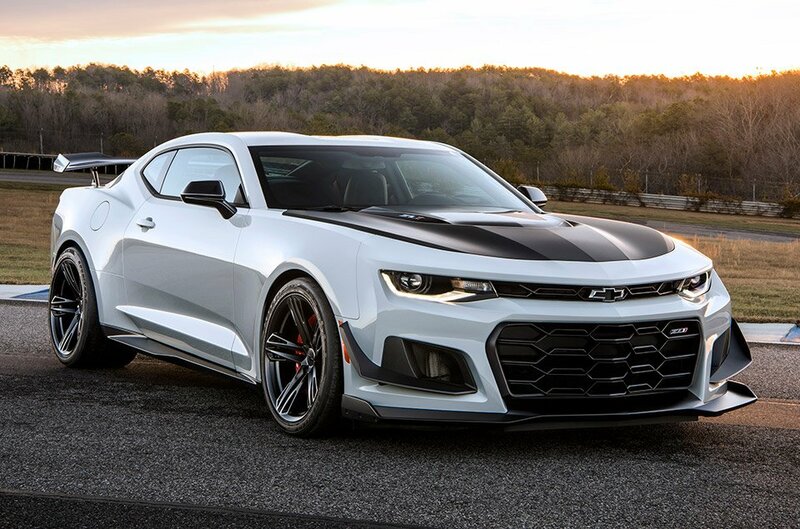 The Camaro ZL1 is already a monster on the road and the track with its impressive 650 hp supercharged V8 engine, and GM’s fantastically stiff, agile, and lightweight Alpha platform. 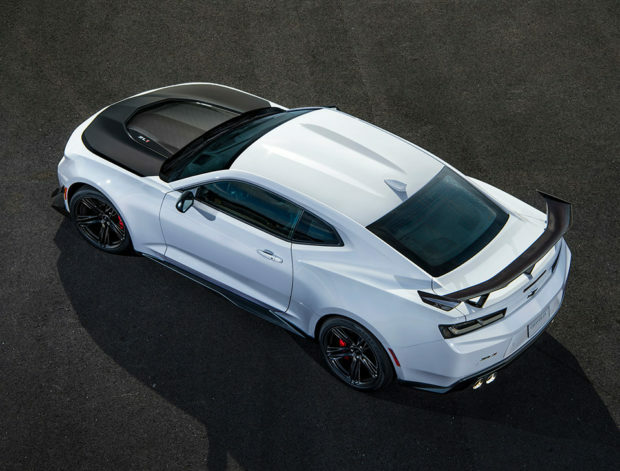 Now Chevy has cranked the Camaro dial up to 11 with the reveal of the new 1LE Track Pack for the ZL1. 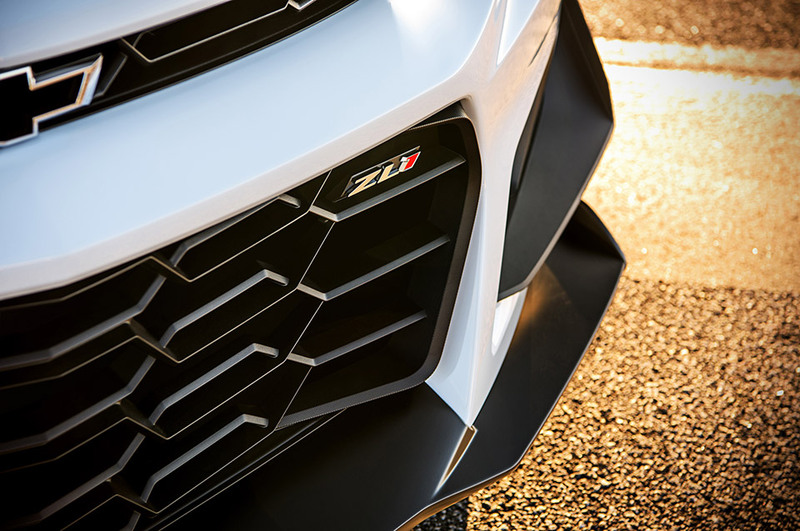 The 1LE package is highlighted by a mean looking aerodynamics kit which includes a huge carbon fiber wing out back, and unique front air deflectors and dive planes to help improve downforce. 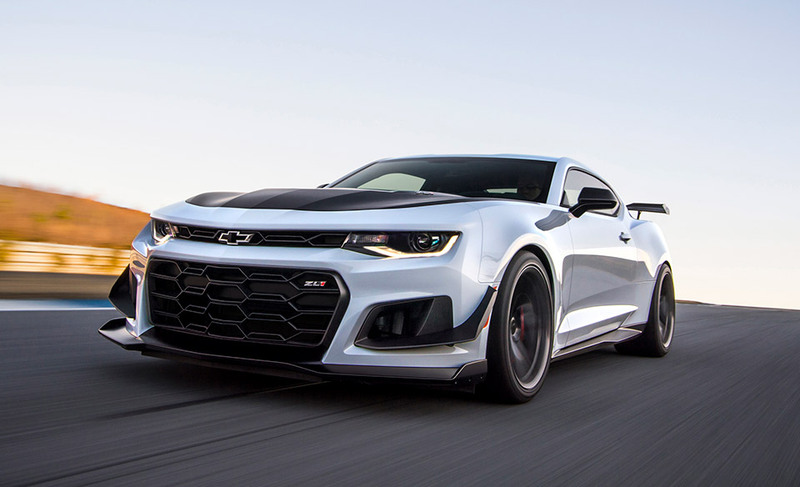 There’s also a new adjustable race suspension with Multimatic DSSV dampers, and the ability to easily fine-tune front-end ride height and wheel camber. The whole thing rides on new aluminum forged 19″ wheels which are an inch wider than the standard wheels, yet weigh less. They’re wrapped in Goodyear Eagle F1 Supercar 3R tires which are designed to offer lateral grip up to 1.10g. Inside, there’s a new fixed back seat, and thinner rear window glass. Combined with the wheels, the car loses about 60 pounds compared to the stock ZL1. 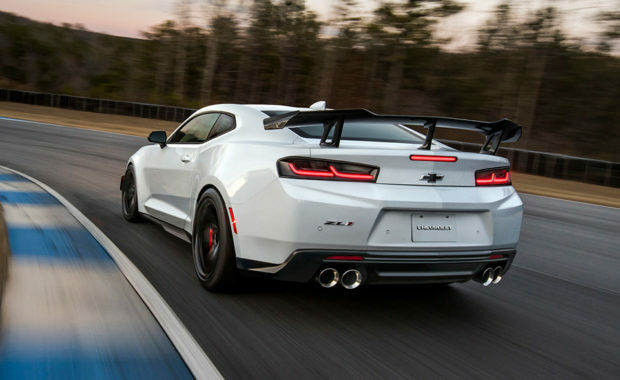 Chevy says all the mods gave the car a 3 second faster time around their 2.9-mile test track compared to the standard ZL1, so it’s clear that the upgrades are way more than cosmetic.